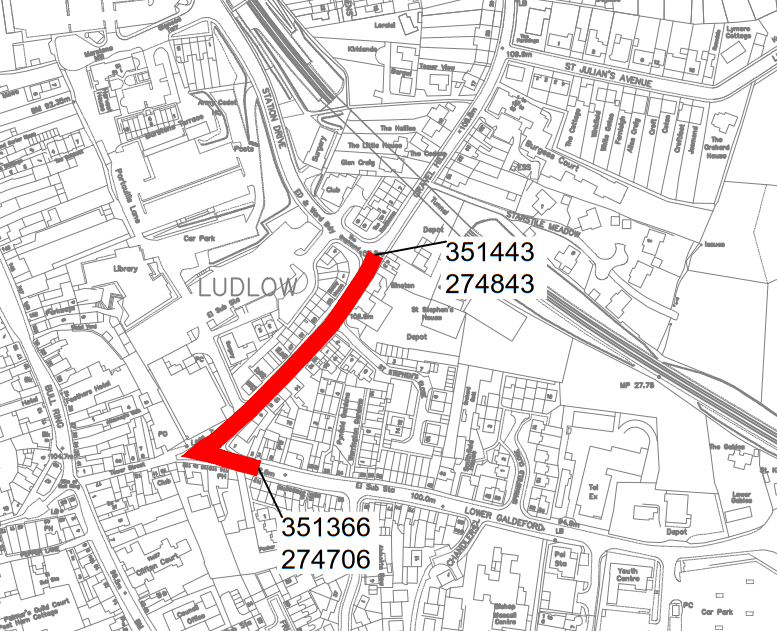 With the A49 and Brand Lane closures, we have about had our fill of road closures in Ludlow this year. But there is one more scheduled closure to come. The top end of Lower Galdeford and Upper Galdeford will be closed from 6 to 16 November during the day to resurface the road surface. There will be temporary traffic lights on the junction of Upper Galdeford, Station Drive and Gravel Hill for one day the week before. This work is essential and has been already delayed to avoid the tourist season. This work was due to take place in August but that is peak tourist season. We worked with Shropshire Council and town councillors to get the work shifted to November. That makes the work more weather dependent, so dates could be extended or shift. The surface of the road is to be completely replaced from The Queens to the traffic lights. The plan is to close the road from 8am to 17.30pm on weekdays from Monday 6 November to Thursday 16 November. The road will be open at night and at the weekends. Access for residents and businesses will be maintained whenever possible. Access for 999 vehicles will be available at all times. The greatest restrictions on vehicle movement is likely to be on Monday 13 and Tuesday 14 November. This is when resurfacing of the carriageway is proposed to take place. This timing will be dependent on the weather. Pedestrian access will be maintained at all times. The buses will need to be diverted and we don’t know the details of that yet. The traffic signals currently rely on below ground induction loops to sense vehicles. If these fail, the road must be dug up, weakening the surface. New above ground sensors to detect cars and cyclists are to be installed the week before the resurfacing. Temporary traffic lights will be in use at the Station Drive junction for a single day.